Since posting my latest Fabric Friday earlier today concerning the fabric used to make Matt’s waistcoat for The Day Of The Doctor, I’ve had a number of enquires about where I got it and how to get some. In my time researching and making costumes I’ve learnt sometimes you search for ages and get nowhere, or sometimes you get lucky and things just fall into place. This fell into the latter. 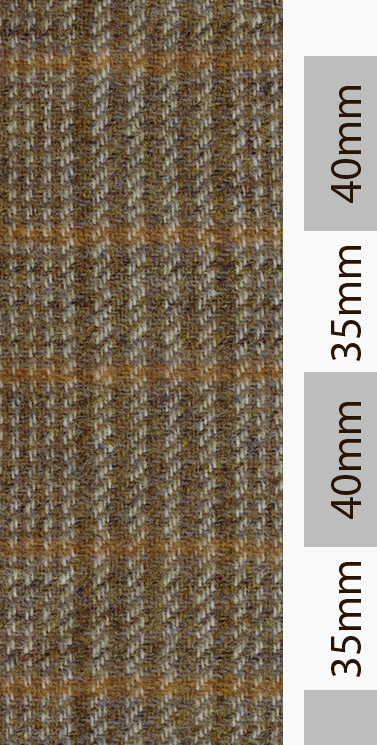 I had been looking through the fabrics at W Bills, and after a hint of a clue from a friend I came across the material used to make Matt Smith’s waistcoat, as worn in The Day Of The Doctor. I'm not just saying a next-best good alternative - I’m talking THE fabric used. As usual it seems, not the cheapest of fabrics to buy, but it’s definitely the right stuff. The costume would have been made early in 2013, and luckily there was still some of the material left, so I bought up the last of the end of the roll to make sure it goes to the right people. Woven in pure wool, it has a very subtle Prince Of Wales style check in a midnight blue and deep magenta. Now I’ve got the fabric, I need to start developing a pattern to make myself a replica of the waistcoat. 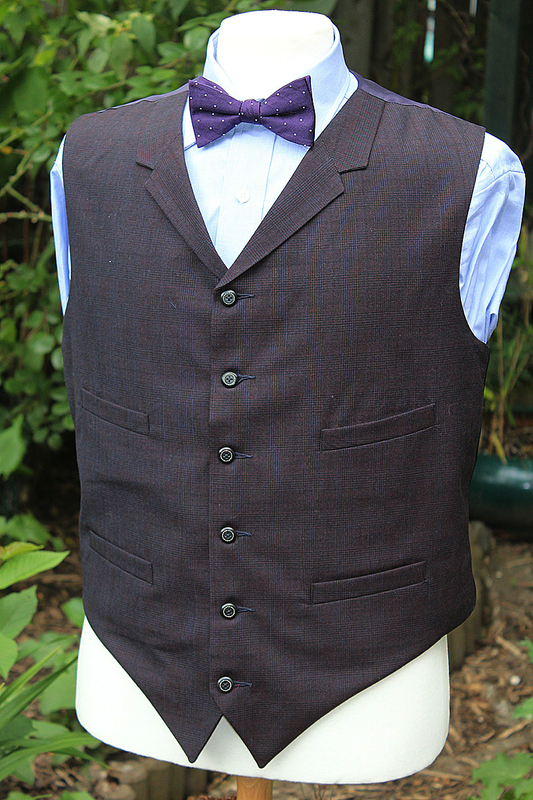 It needs to be a classic waistcoat, with a high buttoned laid-in notched collar; and four welted pockets. I’ve got a number of vintage books where I will source a pattern. I’m quite busy at the moment, so I’ll have to find some time to do a bit of pattern drafting. Not had a chance to do that for a while. But as if finding THE right fabric wasn’t enough - I have also found THE buttons!! 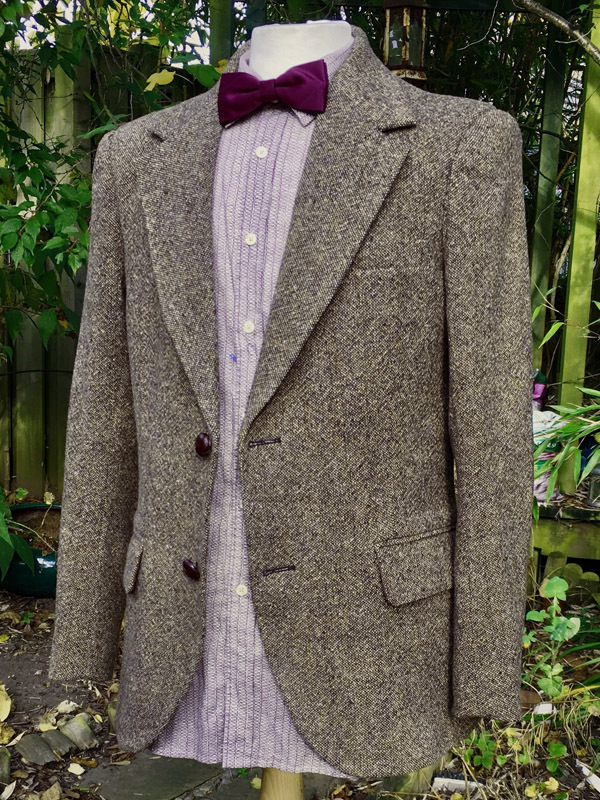 This week on Fabric Friday I can bring you and EXCLUSIVE new find from the wardrobe of the Eleventh Doctor! 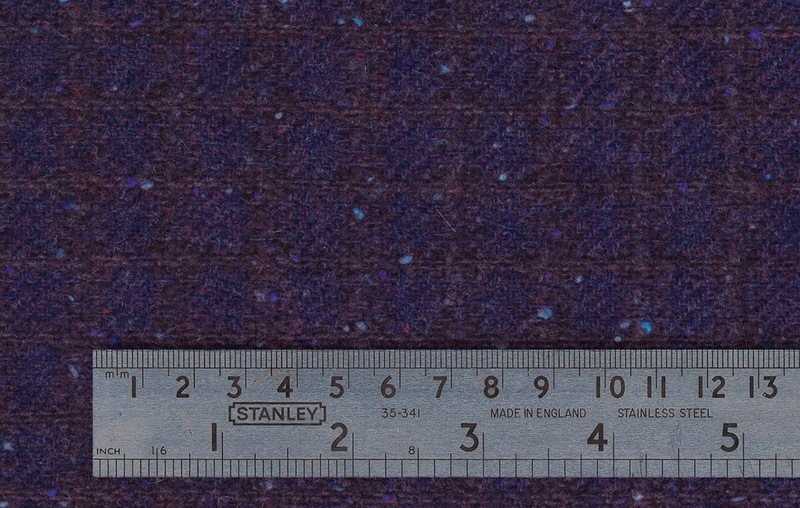 This is the fabric used to make The Doctor’s waistcoat as seen in The Day Of The Doctor. 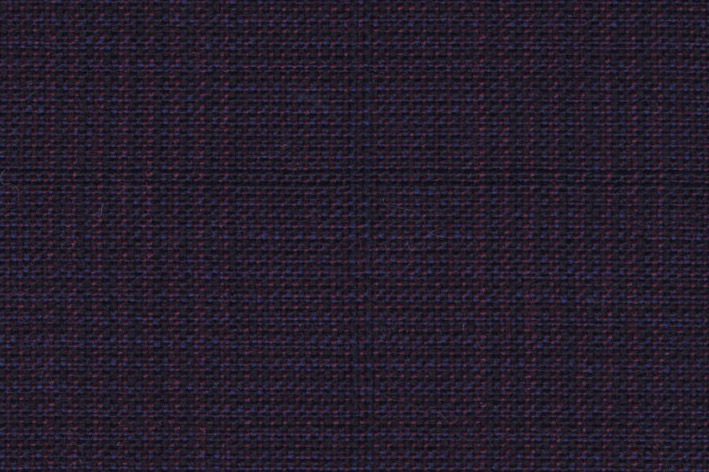 The fabric is a pure wool suiting quality fabric in a very dark midnight blue and deep purple mix of colours. These images are directly scanned from fabric that was part of the bolt that was cut to make Matt’s screen-worn waistcoat. I’ve colour-matched them to the material, erring on the side of a bit brighter to show detail. 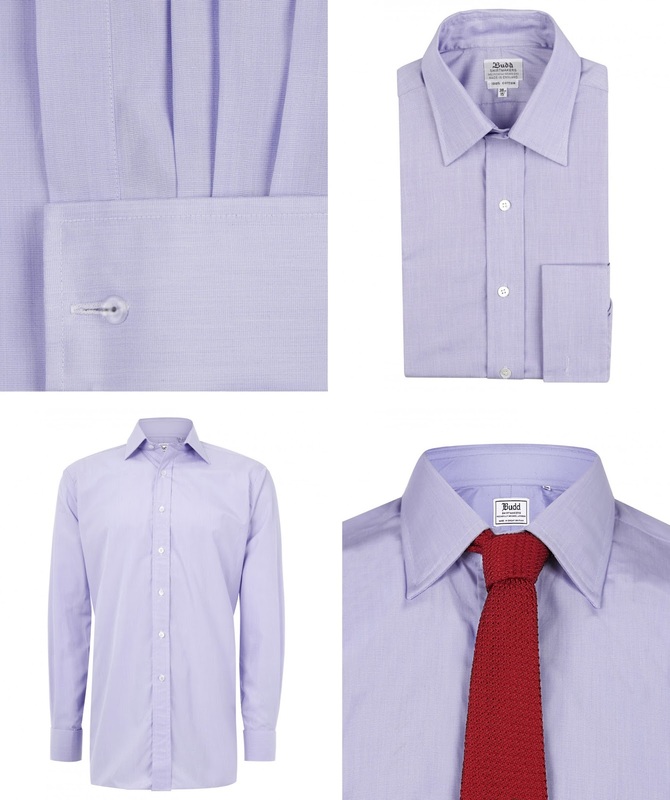 The fabric is woven in a twill, creating a fine Prince Of Wales style check. Here’s the fabric in close detail. 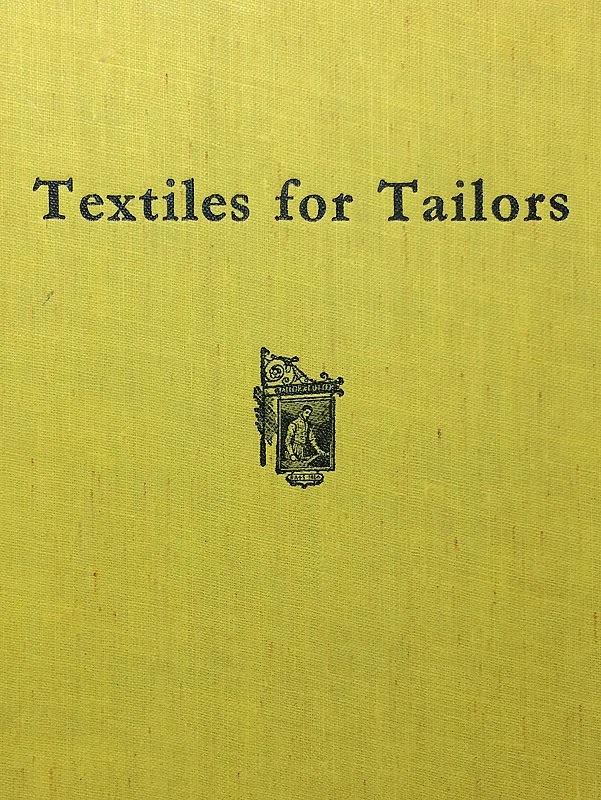 I had a look in my favourite vintage tailoring book about fabrics. 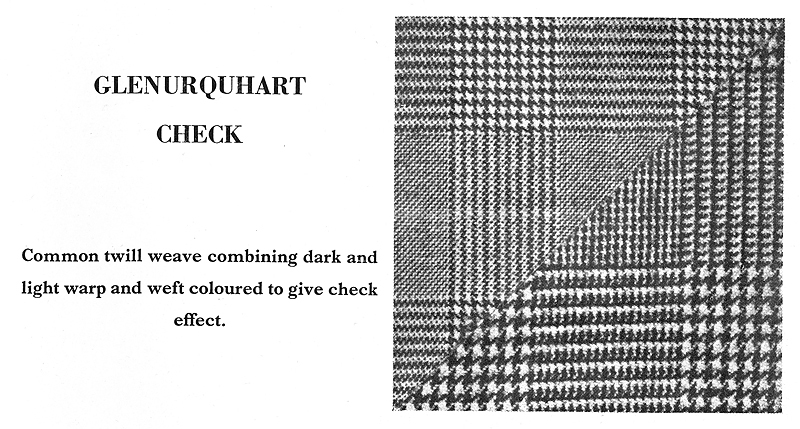 The book classes the pattern as a Glenurquhart check. 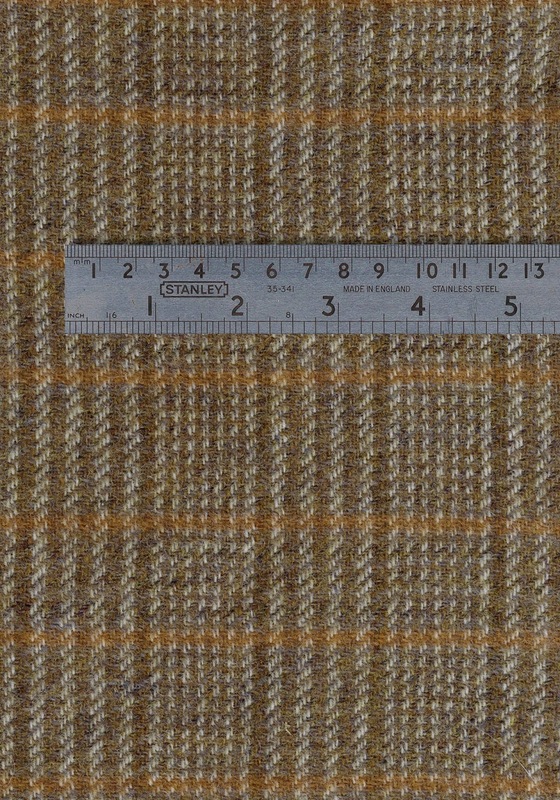 It describes it as a twill weave in dark and light coloured warp and weft, creating the check effect. So far I’ve shown how Budd Shirtmakers have provided shirts for both Peter Capaldi and Matt Smith. Well, while I was chatting away to them at their Piccadilly Arcade shop, I found out they also made a number of Matt’s bow ties!!! Specifically the final three worn in the latter part of series seven. The first they made appeared in the episode Cold War. This was shot in very dark and often coloured lighting, so its a bit hard to make out the true shade of the fabric, but I think it is a dark grey to olive colour with a design of light coloured circles in a grid formation. Their next featured exclusively in The Name Of The Doctor. Again the episode was shot in mirky, dim lighting so it’s near impossible to fathom the true colour. However, with luck this bow tie was given away as a prize in the Anniversary week issue of the Radio Times, along with a nice clear photo to illustrate it. I showed the guys at Budd that it had been a competition prize, and they didn’t know it had happened. 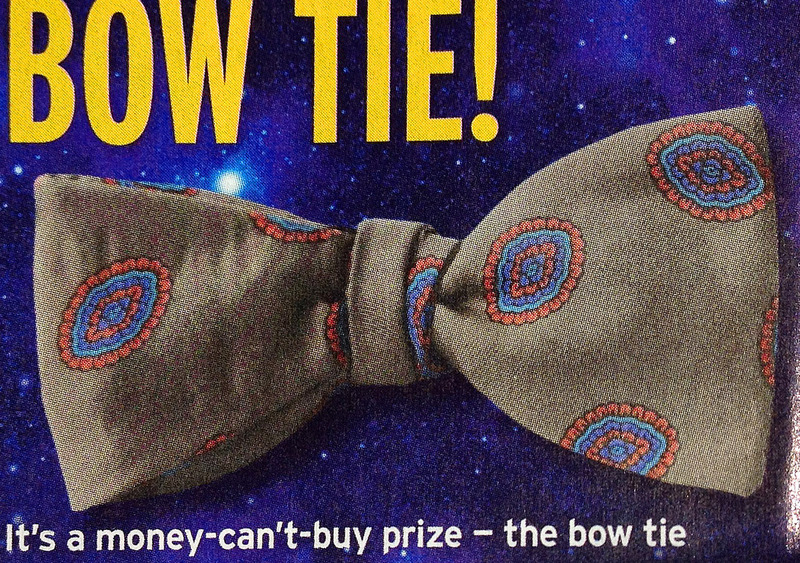 Finally they made the more widely seen bow tie that featured in The Day Of The Doctor, and The Time Of The Doctor. This is a deep purple colour with a open-spaced polka-dot design. Abby Shot have made a replica of this bow tie. When I found that Budd had made these bow ties I naturally asked if they had any left, or if they could remake them to order. They then told me the curious story behind their creation. The bow ties they make are best thought of as a by-product. As well as making shirts, Budd produce top quality silk dressing gowns from short run silks sourced from a variety of weavers. 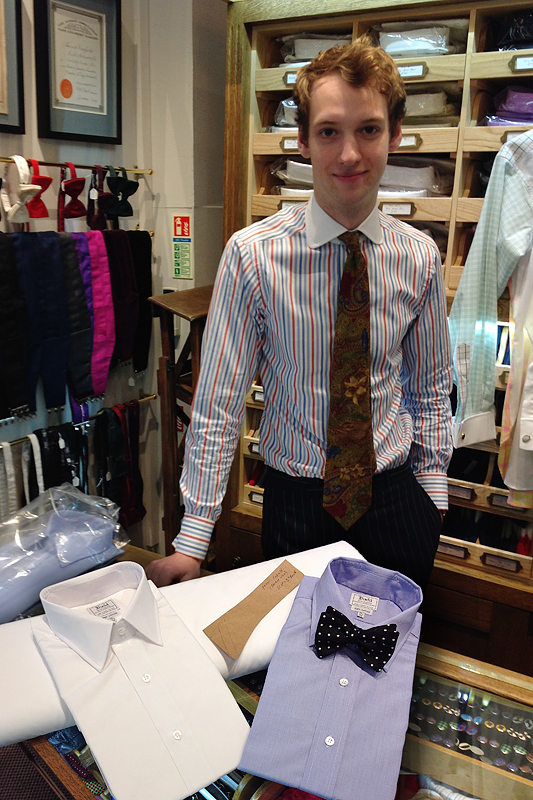 Once the gowns are made the off-cuts - so they do not go to waste - are recycled into bow ties! This makes them very thin on the ground as only a handful are ever produced in any one fabric. We had a rummage through the box of left over silk, but none matched these ties. I even suggested that if one of the dressing gowns was still for sale I would buy it and have it cut into bow ties! Sadly all were sold and they weren’t too sure what the workshop would think about butchering one to recreate what they regard as purely a by-product of their work! 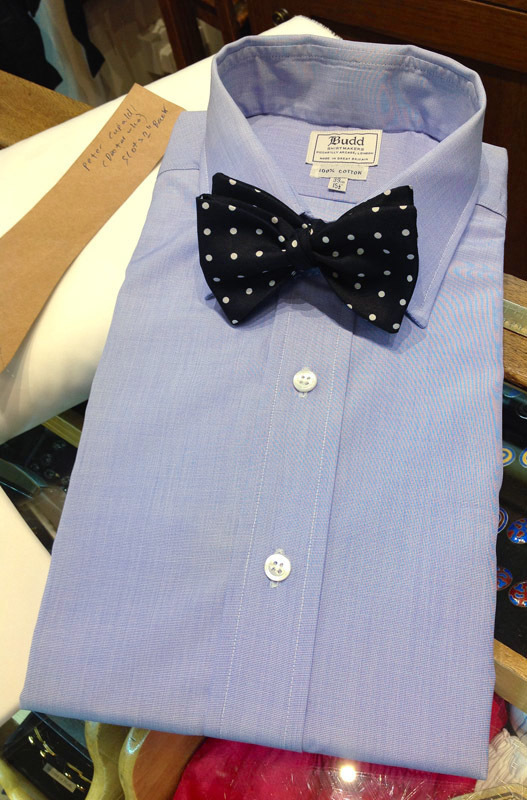 So, funny to think after finding just a white shirt, the same source has turned up a further screen-worn shirt and no less than three bow ties! 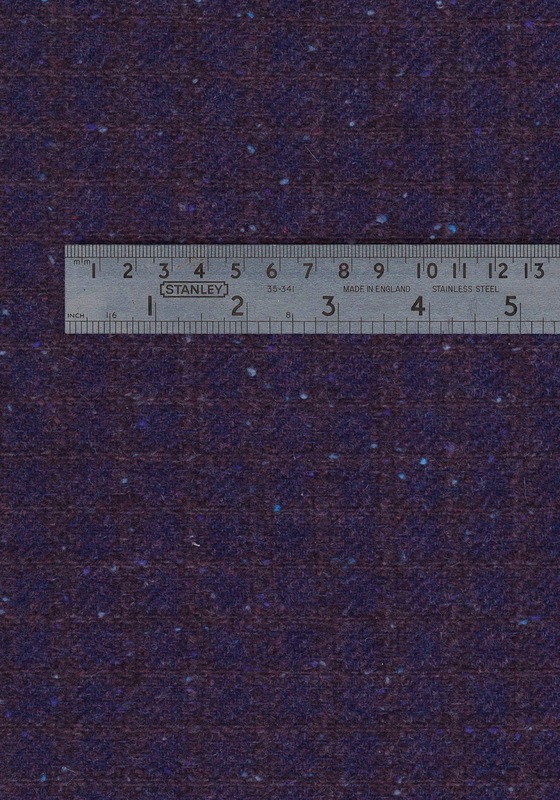 This week on Fabric Friday I come to one of the most misunderstood tweeds to grace The Doctor’s back - the purple Cashmere. This is really the one fabric that inspired my weekly sharing of Doctor Who materials, since it is the one I am asked about most often by readers. Many come to me with alternatives or even thinking they have found the real thing at another outlet, but none have its distinctive weave, which unless you see it close-up you won’t appreciate. For such a difficult fabric to match you’ll be surprised to find it is made from only two yarns: one is a deep purple colour, giving it the base hue; the other is an almost burgundy brownish colour, which criss-crosses in a grid. It is the brown yarn only that is highlighted with sky blue flecks. The fabric came in a full width 54 inches wide. These images are directly scanned from fabric that was part of the bolt that was cut to make Matt’s screen-worn frock coats. They have then been colour-matched back to the material to give the best visual representation of the fabric. Being a true 100% cashmere it is the softest fabric you’ll ever have the pleasure of touching and brings a smile of envy to anyone who gets to stroke it! This fabric was an absolute exclusive to W Bills and is not available anywhere else. Only one bolt was woven in this colourway, and it sat on their storeroom shelf for a few years before it came to the attention of the BBC. The scarify of the yarn - especially the brown with the sky blue flecks - has meant that weaving a perfect match is simply not possible, though W Bills did look into it knowing it would eventually sell out. 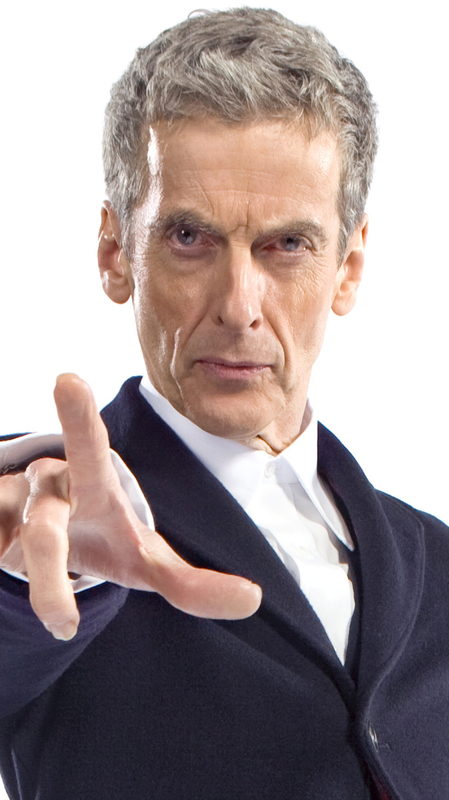 If you are a regular reader of my blogs, you hopefully will have seen news that the white shirt worn by Peter Capaldi has been definitively identified as coming from Budd Shirtmakers, of Piccadilly Arcade in London. If you were very astute you might have noticed there were two shirts on the counter when I was speaking to James MacAuslan, their talented young cutter who made the shirt. 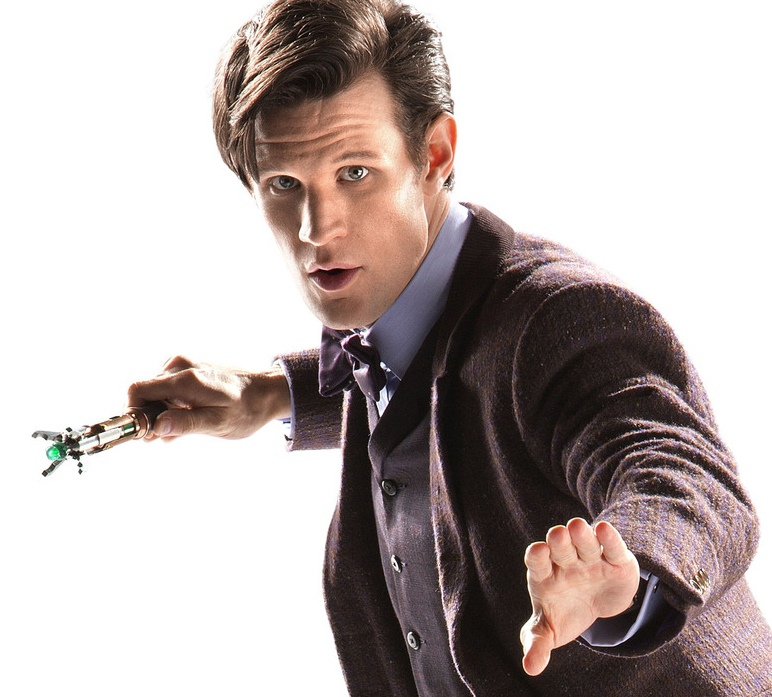 The second is a stock blue shirt which I found out was THE shirt worn by Matt Smith in The Day Of The Doctor! 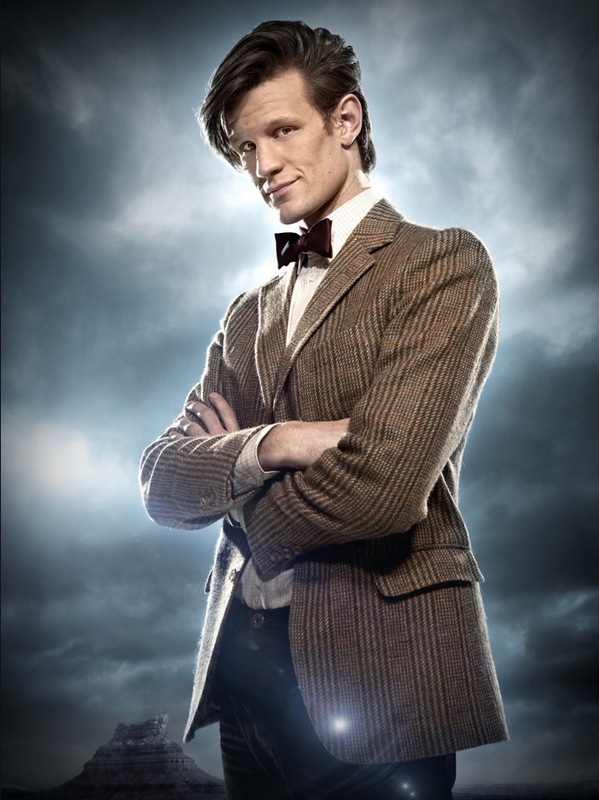 Yes, for once The Doctor was wearing a simple off the shelf shirt, I gather because Matt was always too busy to come in for a made-to-measure appointment. 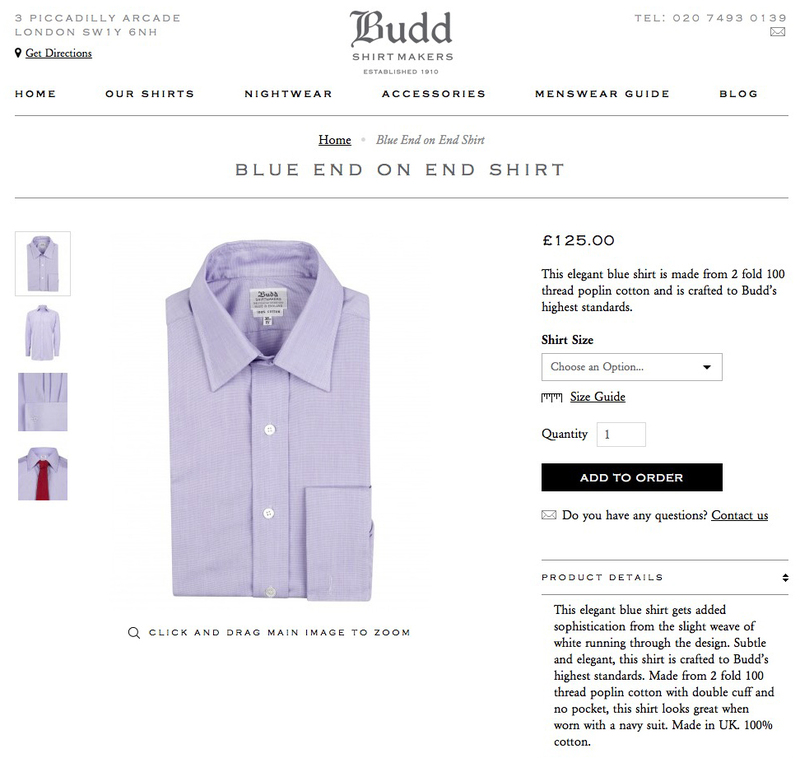 It is Budd’s Blue End On End shirt, and is freely available to buy online at their website and costs £125. The days of The Doctor shopping at TopMan are long gone. 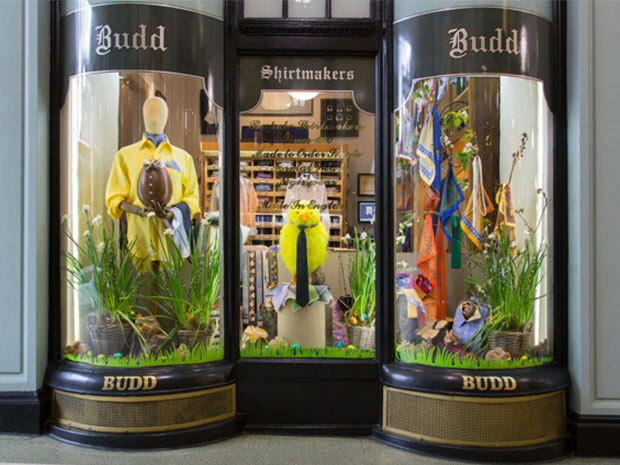 However, before you buy if you sign up to the Budd online newsletter you get a special discount code which will give you £20 off your first purchase. I will just mention that having seen the shirt in-hand, the colour on the website is not an accurate match. It is bluer and definitely the right shirt. The shirt forms part of their current core range and is still available in all sizes, so you shouldn’t have too much trouble getting one. It may well be just a blue shirt - but it is THE blue shirt! 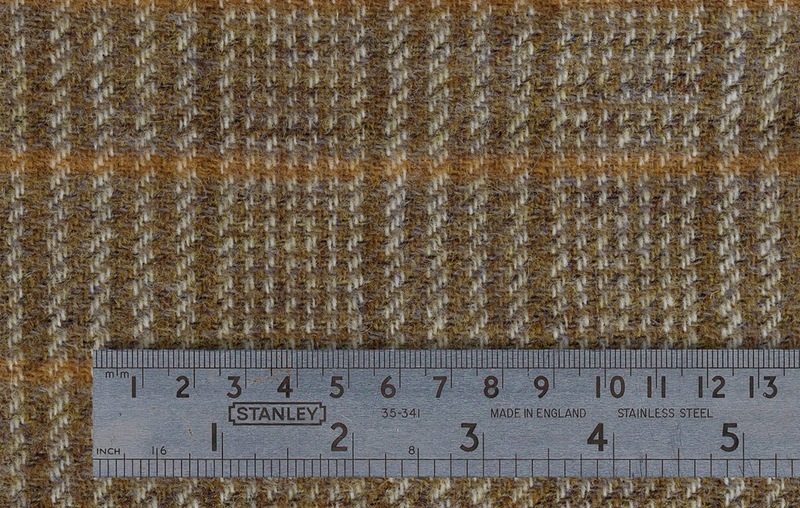 This week on Fabric Friday, I turn my attentions to the Shetland tweed used to make the jacket first seen in A Christmas Carol. 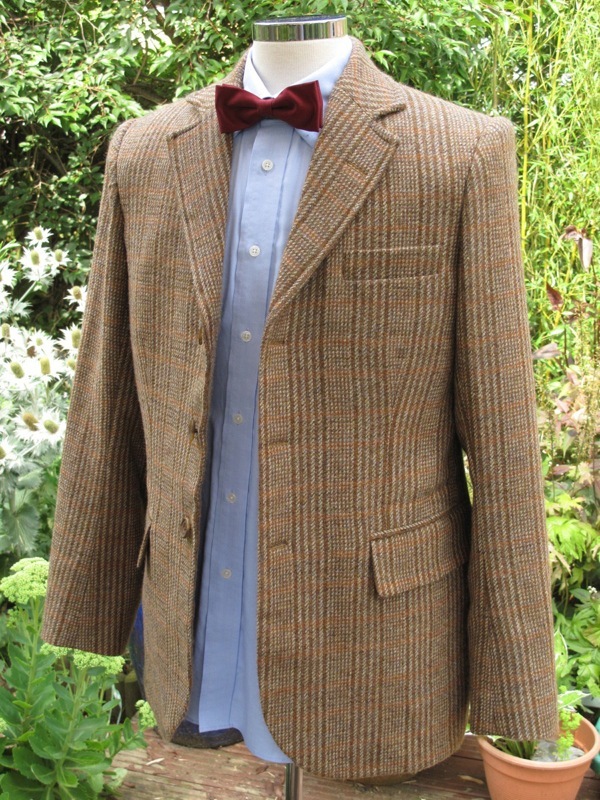 The jacket was a smarter, more tailored cut compared to the Harris tweed and Donegal versions seen in series five. The elbow patches were dropped - though this seems to have been an oversight since they reappear in the very next episode. 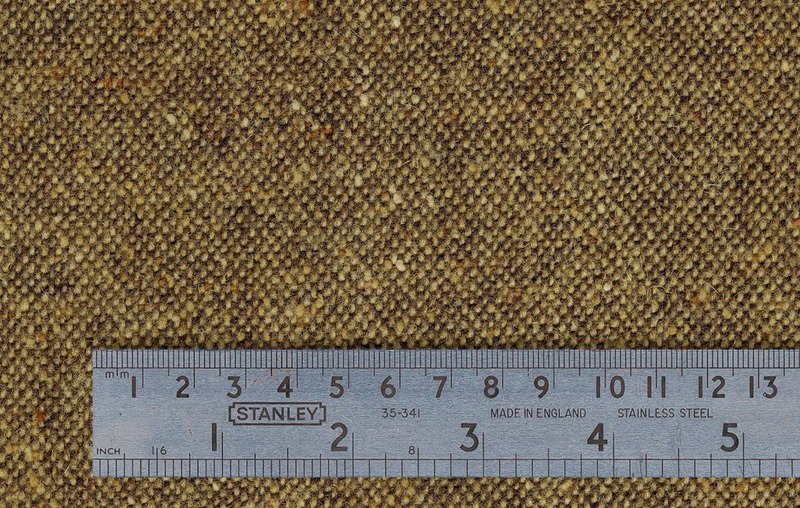 The tweed used came from W Bills and has been likened to a plaid, though it is not truly defined as such. The fabric has a distinct orientation, with bold vertical stripes of darker brown mixed with a lighter beige colour. These images are directly scanned from fabric that was part of the bolt that was cut to make Matt’s screen-worn jackets. They have then been colour-matched back to the material to give the best visual representation of the fabric. The only discernible pattern repeat horizontally are some narrow orange stripes, which are at irregular spacings, alternating between 35mm and 45mm. 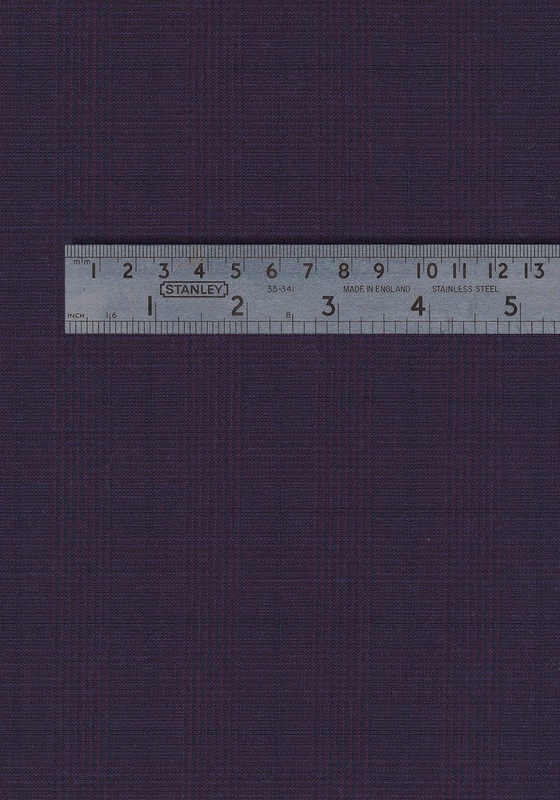 This can make the fabric a bit awkward to use when pattern matching, as the true pattern repeat is effectively 75mm. Woven in 100% pure Scottish wool to a full width of 54 inches wide, it comes from the island of Shetland off the coats of Scotland. 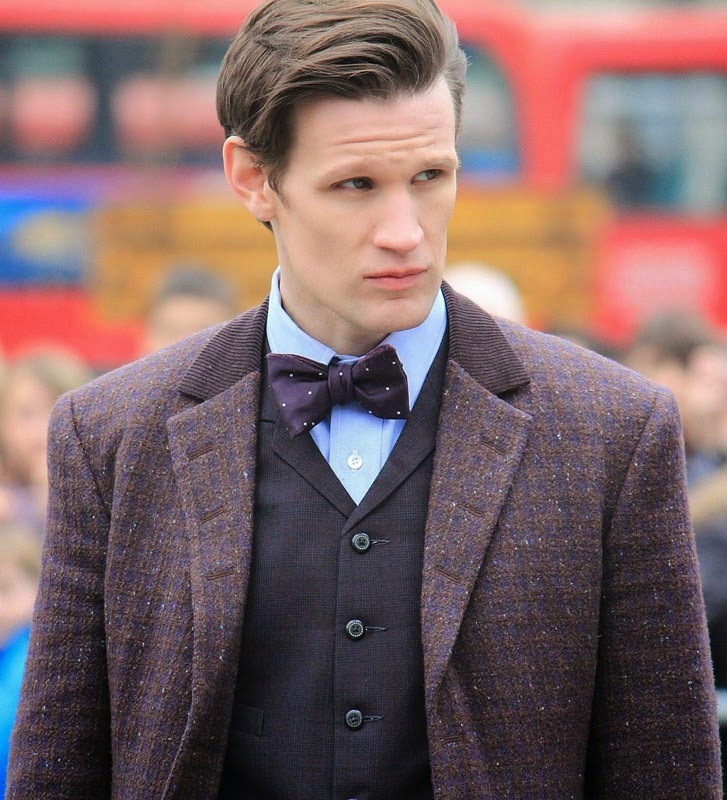 This week on Fabric Friday I’m bringing you the second of the jacket fabrics from Matt Smith’s wardrobe. 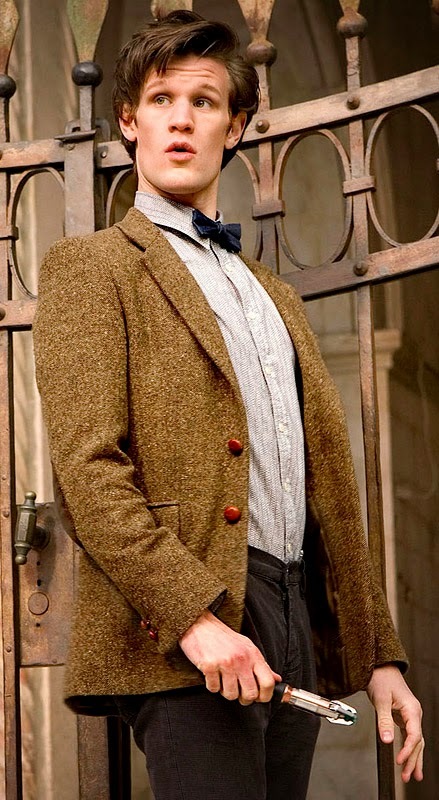 After shooting a handful of episodes with a single vintage Harris tweed, the costume department produced a number of jackets for Matt to wear, all made from Donegal tweed sourced from W Bills in London. The hand-woven fabric was made on foot operated looms, and so was only a half-width 36 inches wide. The weave is very simple: a light coffee colour in one direction in a plain or hopscotch weave with a dark chocolate colour in the other direction. 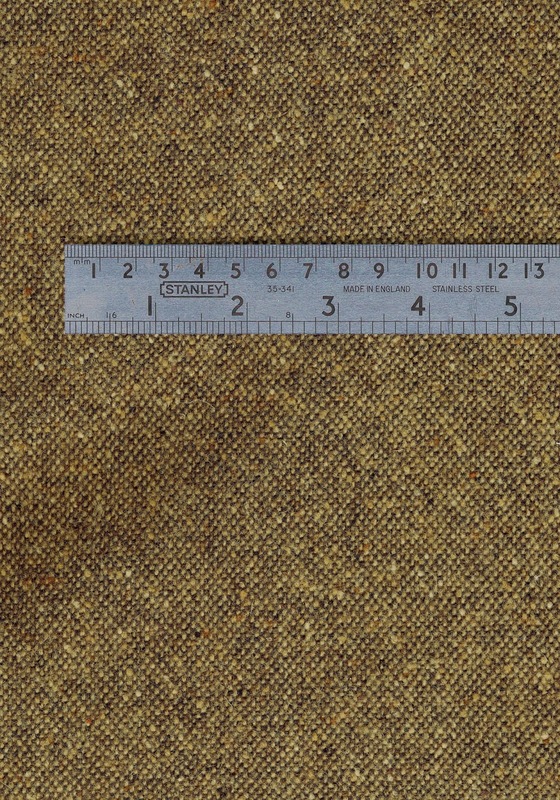 The lighter of the two colours has a flecking in the same shade, which gives the fabric the slightly corse appearance. I have seen a number of very similar Donegal style fabrics, but their flecking has been in other colours such as red or green. These can ruin the appearance of the fabric. With the very nature of the weave the fabric is reversible and looks the same from both sides, though it does need to be orientated consistently. 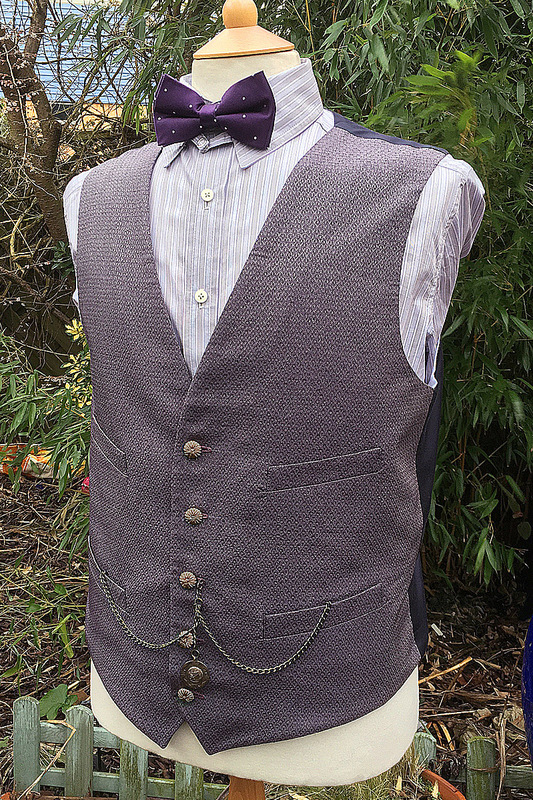 Anniversary waistcoat - fabric AND buttons!